For the past 15 years my colleagues and I have conducted research on mass murder, the intentional killing of three or more individuals, excluding the perpetrator, during one event. Recent cases of mass murder have pointed to misconceptions about this rare and frightening act, and I would like to shed some light on what I consider the seven myths of mass murder. Immediately following a mass murder, there is a steady stream of newspaper headlines and what I call “entertainment profilers” on television who proclaim that the individual “snapped.” There is no psychological term called snapping, but many assume that mass murder is done impulsively, with great emotion, and without planning or preparation. Almost all mass murders don’t fit this profile. Research consistently shows that mass murderers research, plan, and prepare for their act of violence for days, weeks, and even months. The fantasy may have incubated in their minds for years, even though the time, place, and target had yet to be determined. The act usually occurs after a major loss in love or work, and this may “start the clock” wherein final detailed preparation begins. I have forensically evaluated a number of mass murderers in prison or forensic hospitals, and with few exceptions, there was no evidence of a high state of emotional arousal when the killings occurred. Witnesses who have survived mass murders invariably describe the shooter as cool, calm, and deliberate – a lack of emotion that is a corollary of planned violence. Image Credit: ‘Sadness, Alone’, Image by geralt, CC0 Public Domain, via pixabay. David Cullen, the journalist and author of Columbine, an excellent book on the high school mass murder in Colorado in 1999, has asserted this formulation. Unfortunately, his diagnostic classification of mass murderers is much too simplistic. Most are complex in their motivations and psychopathology. They often have both mental and personality disorders. 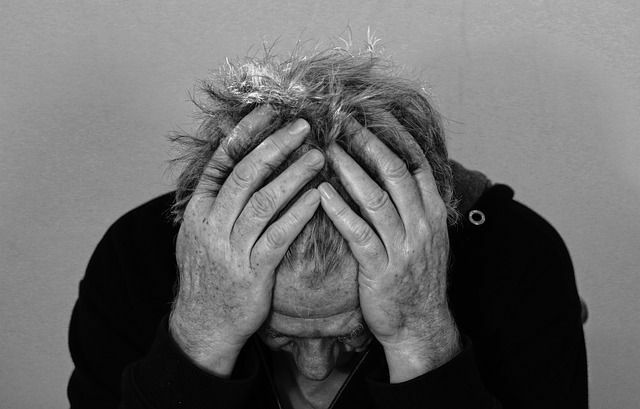 Mental disorders range from chronic psychotic disturbances, such as paranoid schizophrenia diagnosed in the Jared Loughner case, to major depression, bipolar, and other disorders. This may sound like splitting hairs, but when it comes to risk mitigation, fully understanding the range and complexity of these individuals’ disturbances is critical. Personality disorders also abound in this group and are often a mixture of antisocial, paranoid, narcissistic, and schizoid traits – or in layperson’s terms, someone who habitually engages in criminal behavior, is suspicious of others’ actions, is self-centered and grandiose with little empathy, and is chronically indifferent toward others and detached from his emotional life. What Cullen has done is a disservice to the millions of individuals who are clinically depressed or have a psychotic disorder and pose no more risk of violence to others than your neighbor. Loughner has given paranoid schizophrenia a bad name – many other factors contributed to his attempted assassination and mass murder. When a mass murder occurs, it receives instant and pervasive news coverage. Unfortunately, we are prone to overestimate the frequency of an event by its prominence in our minds, and mass murder is no exception. This is a very rare phenomenon and is neither increasing nor decreasing in the US. Since 1976 there have been about 20 mass murders a year. 2003 was the most violent year for mass murder, with 30 incidents and 135 victims. Virginia Tech, Fort Hood, Edmund Oklahoma, and San Ysidro still resonate in the public consciousness, however, reminding us that these events do happen. A positive counterpoint is that rates of all violent crime have significantly decreased over this same time period, from 48 victims per 1000 persons in 1976 to 15 victims in 2010. The most lethal school mass murder in US history was in Bath, Michigan, in 1927, a bombing that resulted in 45 deaths, mostly children in the second to sixth grades. 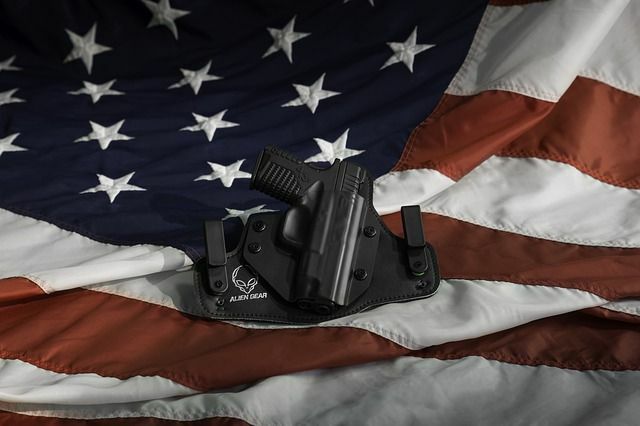 Image Credit: ‘Holster, Gun, Pistol, Flag’, Image by Ibropalic, CC0 Public Domain, via pixabay. The most popular weapon chosen by mass murderers in the US is a 9 mm pistol, often a Glock. Usually they bring two or three firearms to the scene, and assault weapons such as the AR 15 or AK 47 are generally not utilized. Therefore it should come as no surprise that between 1994 and 2004, when the federal assault weapons ban was in effect, there was no decrease in the average number of mass murders per year in the US. However, guns do kill people. As a gun owner myself, and a believer in the Second Amendment, I find it appalling that virtually anyone can purchase a firearm with little effort, money, or time in the US. I believe that firearms ownership is a right that should have requirements: demonstrable competency in its use and mental stability. The majority of adult mass murderers are psychotic, meaning they have broken with consensual reality and perceive the world in an idiosyncratic and often paranoid way. Yet they may research the internet for weapons, practice video games to sharpen their marksmanship, purchase weapons and ammunition, conduct surveillance of the target, and carry out their mass murder, all from within a delusion. A delusion is a fixed and false belief and may provide a rock-solid motivation for mass murderers. Paradoxically, delusions may help them commit irrevocably to paths of homicidal destruction. Our research has also found that mass murderers who are psychotic have higher casualty rates than those who are not. Typically they select victims who are complete strangers, who in their minds make up a “pseudocommunity” of persecutors bent on their destruction. It is true that most quotidian violence involves drug use, particularly alcohol. In cases of spousal homicide, the victim, perpetrator, or both are often intoxicated at the time. In mass murder, however, drug use is minimal, whether alcohol or other illicit substances. 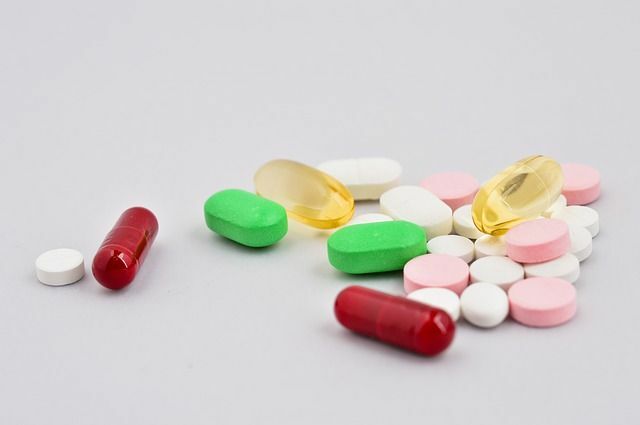 Image Credit: ‘Drug, Health, Addiction, Stress’, Image by JeongGuHyeok, CC0 Public Domain, via pixabay. We think this is because the mass murderer does not want drugs to cloud his consciousness at the time. They could interfere with his planning, preparation, and most importantly, his tactical goal, which is often to maximize his casualty rate. We even found two cases where the mass murderer utilized therapeutic amounts of sedating drugs to help him remain calm during the shooting. Unfortunately this will never happen given the simple fact that we cannot predict such an extremely rare event. If we attempt to do so, we will grossly over-predict its occurrence and perhaps infringe upon individual rights and freedoms. However, we can mitigate the risk of such events by paying attention to behaviors of concern. This stopped Richard Reid from bringing down an airplane over the Atlantic in December 2001, when a passenger noticed he was trying to light his sneaker with a match. It contributed to the prevention of another ideologically driven mass murder in Times Square on 1 May 2010 when two street vendors noticed a suspicious van parked on a busy corner and alerted the police; two days later Faisal Shahzad was arrested as he sat on a plane at Kennedy bound for Dubai. Such situational awareness is critical to interdict someone in the final stages of an attack. But there is another warning behavior that is quite frequent: mass murderers will leak their intent to others – a phrase expressed to another, or posted on the internet, that raises concern. It may be overt: “I’m going to kill my supervisor and his cohorts tomorrow;” or it may be covert: “don’t come to work tomorrow, but watch the news.” The logical reaction should be to alert someone in a position of authority; however, most people don’t. It surfaces after the event, with the rationale, “I just didn’t think he was serious.” Trust your emotional reactions of anxiety, wariness, or fear, and let law enforcement investigate. Featured Image Credit: ‘Murder at Wollaton Park’, Photo by Duncan Harris, CC by 2.0, via flickr. J. Reid Meloy is Clinical Professor of Psychiatry at the University of California, San Diego, and President of Forensis, Inc., a nonprofit dedicated to forensic psychiatric and psychological research. 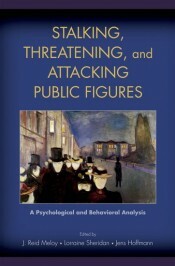 He co-edited Stalking, Threatening, and Attacking Public Figures (OUP, 2008) with Lorraine Sheridan and Jens Hoffmann, as well as co-editing another volume; the International Handbook of Threat Assessment, which was published in 2013. Doing fine until I got to #4…. The shrinks who'd make this determination have already drunk the Kool-Aid, and would never approve anybody. Call it Myth #8, and that kills the credibility of the entire article for those of us in the firearms-owning community. Good old "easy availability of guns" canard…. Perhaps we could agree that it would have been better for all concerned if Cho, Laughner, Holmes, Page, and Engeldinger had not possessed firearms on the day of their attacks? I agree that accomplishing such a goal presents significant, if not insurmountable, challenges but declaring the topic a non-starter may prove to be short-sighted. I wouldn’t necessarily agree that I would have preferred them not to have had a gun on those days. If they didn’t have guns they may have decided explosives were the way to go and have emulated the bombing in 1927. It would’ve been better if the Yorkshire Ripper hadn’t had a hammer on multiple days. It would’ve been better if McVeigh hadn’t been able to buy fertilizer. Suppose Harris & Klebold hadn’t been able to get guns, and had concentrated on getting their bombs right? Or think what the vile being who committed this horror might’ve done with a couple of cans of gasoline and some matches. A lot of police chiefs and sheriffs would treat that the same way they treated ‘may-issue’ carry permits: make the tests as difficult and expensive as possible. And the can of worms opened up with ‘mental stability’ tests is kind of horrifying with what could be done with it. Not to mention the idea of opening everyone’s medical records up to LE; the potential for abuse is nasty. Simple fact is, people don’t trust such not to be used as clubs on people. With reason, considering history. I have lived with weapons for quite a few years of my life. There are a few issues here albeit I agree with you I also agree with the other school of thought. First the U.S. has about 270,000,000.00 legal weapons registered. There are many more that are illegal and in the hands of criminals and psychos. It is not possible to take weapons away from people that have them legally, unless the constitution is changed. Nevertheless, my feeling is that yes stricter laws are required but the issue of mental health must be addressed. Instead of filling prisons with the mentally ill, more monies and care need to be allocated to their help. Also a federal data base for all people taking medication associated with mental health must be set up and those taking medication forbidden from legally purchasing weapons. This is a two pronged approach to the issue. It becomes the burden of proof of mental competency for government and citizen. Over here in Greece it is almost impossible to own a weapon except a shotgun for hunting and very few can have a handgun. Rifles are totally illegal. Our problem here is that the government doesn’t have the money to field a larger police force and criminals rob banks, stores, homes and anything else using fully automatic AK-47s! We are outgunned by criminals. It’s the total opposite of what is happening to the U.S. Slowly we are approaching the same problem from the opposite side. Which ever way you look at it weapons will always exist. It only takes money to acquire them. Mental health can change from one day to the next. Even a police officer that is sound of body and mind today can have issues that will eventually lead to a crime. Mental health control is the key along with gun control. Either one alone will do nothing. It is difficult to figure out who will commit mass murder/ The Nazis committed mass murder for five year only because they could. They should have been stopped in their tracks immediately. How did the world allow such atrocities. By the time help came it was 50 million people later. I am not comparing the tragedy that just happened, but if the surviving children could be shown that there are bad people who do terrible things, perhaps it will help them to understand that these things are part of life, and they are fortunate to survive and be with their loving families. I think combining all incidents of a perp killing 3 or more people is way, way too broad. I want to see an analysis of the true mass murders like Aurora, Columbine, Newtown, etc. Defining mass murder as three or more might muddy up the issue by including a lot of family murder suicides, etc., which could very well have completely different etiology. ALL people taking ANY medication for ANY mental-health reason? Someone’s going through a period of depression, and therefore one of their basic rights should be trashed(probably permanently)? I don’t think so. Also, who sets up the standards? That’s an open door to abuse. And no, in large part I do NOT trust the .gov to do such a thing fairly and honestly; too many people would see that as a way to restrict arms ownership as much as possible for as many as possible. You’ve just noted that Greece, with very strict firearms ownership laws, has basically done nothing but disarm the honest people while the bad guys get illegal weapons and use them illegally; that’s not exactly selling the ‘stricter laws are required’ idea. very interesting and thought provoking article. i’m not sure your inclusion of schizoid personality disorder as part of these people’s profiles is correct however. people with schizoid personality disorder tend to be happy people with few anger issues. they are anti-social insomuch as they prefer to be alone but it isn’t because they despise the rest of humanity but because they are indifferent. people with schizoid personality disorder prefer not interacting with others and regardless of how gruesome; slaying others is interaction and more unlikely for schizoids interactions initiated by the perpetrator. I highly appreciate your thought. But as far as I know individuals with schizoid personality disorder will even feel anxious and fearful about people, which is why he chooses to be alone, or that isolation makes him sad sometimes. This does not mean he wants to cultivate meaningful relationships; just that he would like to be around people occasionally.